I'd like to thank all of my readers who informed me earlier today that Vivo Mobile Philippines has quietly released this new midrange Android smartphone in our country. 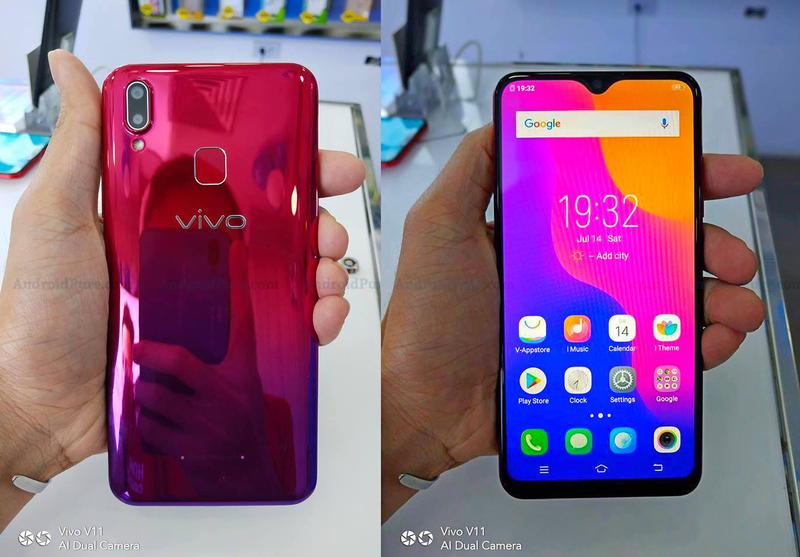 The all-new Vivo Y95 dons a fairly affordable price tag all while having a downright gorgeous design as well as a decent set of technical specifications and key features. In terms of looks, as you can see, it flaunts a glossy back panel with rounded sides and corners plus a glossy finish on top of its eye-catching gradient color, which has become quite a trend in smartphones in all price brackets this year. 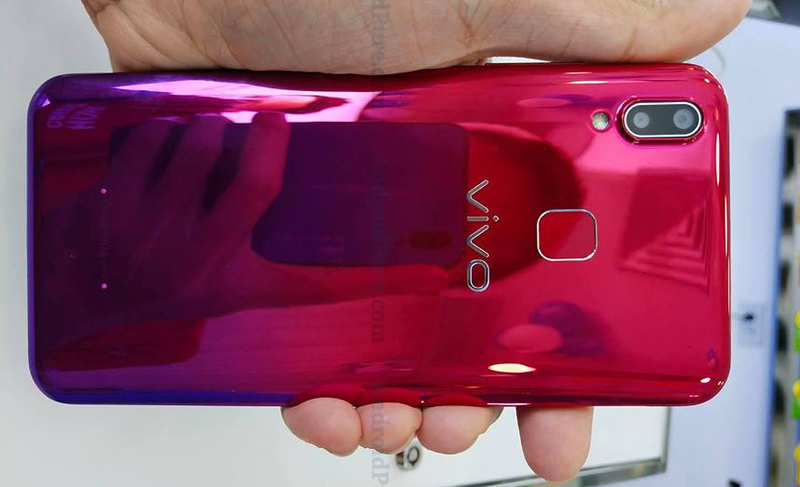 The Aurora Red version, shown in these photos courtesy of AndroidPure, feature a Violet bottom to Red top gradient transition that looks both classy and elegant. I guess if you're currently looking for a headturner of a handset that doesn't cost an arm and leg, you would certainly include Vivo Y85 in your list of models to check out. As for its specs, on the outside, it sports a large 6.22-inch HD+ 1520 x 720 pixels FullView IPS display with 19:9 Aspect Ratio and a Halo Notch, a 13 MegaPixel + 2 MegaPixel Dual Rear Camera Module with LED flash, 20 MegaPixel Front-Facing Selfie Shooter, Fingerprint Scanner, and Facial Recognition. Under the hood, this new handset runs its Android 8.1 Oreo based FunTouch OS 4.5 interface with a 12nm 1.95 GHz Octa Core Qualcomm SDM439 Snapdragon 439 chipset that incorporates an Adreno 505 GPU, has 4GB of RAM for smooth multitasking and gaming, and comes with 64GB of expandable storage. Aside from having a large 4,030 mAh Li-Po battery pack that ensures long uptime with regular use, Jovi AI software and pre-installed Google Lens are two of the coolest new features of the Vivo Y95. Basically, Jovi is the collective name for all of the advanced smart features of new Vivo handsets including its AI Beauty Software for the cameras, Game Mode, and Smart Scene. Google Lens, on the other hand, let you perform search simply by pointing the camera to an object. Vivo Y95 is now available at all Vivo Mobile Concept Stores and kiosks across the Philippines. Its official suggested retail price is PHP 13,999 and it's out in two colors, namely, Aurora Red and Starry Black.